Posted by paralleldivergence in 2008 resolutions, Brad & Phil, education, My Thoughts, Resolutions. Tired of the repetitive, pointless, run-of-the-mill New Year’s Resolutions like quitting smoking, losing weight and getting fit? These are the most resolved and least achieved resolutions, made in the heat of New Year celebrations. Achieving anything requires you to put your mind to the task – but what if your mind’s simply not up to it? What if your brain has been subjected to years of abuse ? Parental influence. Bandwagon-hopping. Too much FOX News. It’s time to think for yourself. Posted by paralleldivergence in Music, My Thoughts, Political Correctness. We all live in our little boxes, struggling with our own little problems. Our experience of the world is based on what we see on TV or what we read on the Internet. The media tells us what they want us to hear – a politician made an embarrassing mistake, a celebrity was seen out with another celebrity last night and the amazing pet dog found its way home after being missing for two months. But is this really what’s important in our world? Posted by paralleldivergence in Brad & Phil, education, God, Islam, My Thoughts, Political Correctness. 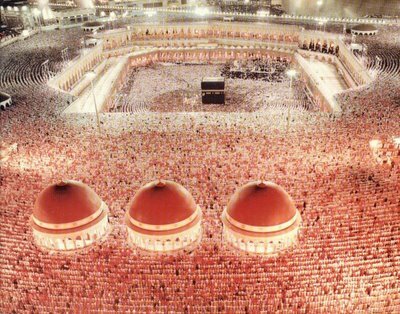 The largest pilgrimage in the world happens every year during the days of Hajj. From almost every country on Earth, about two and a half million Muslims, many of whom can barely afford to pay for the trip, will make what is one of their “duties” in life – a pilgrimage to Mecca, Saudi Arabia. With the Islamic calendar based around lunar months, the period of Hajj occurs at different times of the year relative to the more common twelve-month calendar, and coincidentally, this year it is just after Christmas.